간단한(간단하지만 대부분 용도에 충분히 유연한) 입자 시스템이 제공됩니다. 입자 시스템은 스파크나 불, 마법 입자, 연기, 안개 등 복잡한 물리적 효과를 시뮬레이션하기 위해 쓰입니다. The idea is that a "particle" is emitted at a fixed interval and with a fixed lifetime. During its lifetime, every particle will have the same base behavior. What makes each particle different from the rest and provides a more organic look is the "randomness" associated with each parameter. In essence, creating a particle system means setting base physics parameters and then adding randomness to them. Particle systems are added to the scene via the Particles2D node. 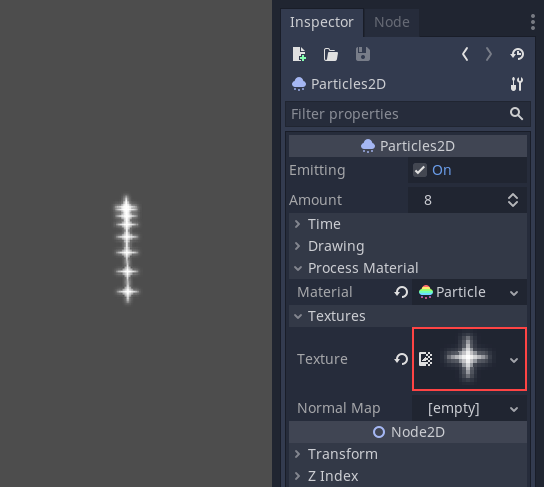 However, after creating that node you will notice that only a white dot was created, and that there is a warning icon next to your Particles2D node in the inspector. This is because the node needs a ParticlesMaterial to function. 입자 노드에 프로세스 재료(process material)을 추가하기 위해서 인스펙터 패널에서 Process Material 로 갑니다. Material 박스를 클릭한 다음 드롭다운 메뉴에서 ``New ParticlsMaterial``를 선택합니다. Your Particles2D node should now be emitting white points downward. 입자가 머무는 시간(초). 수명(lifetime)이 끝나면 새로운 입자가 대체됩니다. 활성화되면 Particles2D 노드는 모든 입자를 한 번 방출하고 다시는 방출하지 않습니다. Particle systems begin with zero particles emitted, then start emitting. 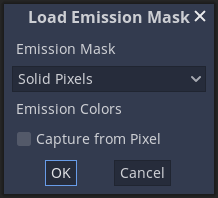 This can be an inconvenience when loading a scene and systems like a torch, mist, etc. begin emitting the moment you enter. Preprocess is used to let the system process a given number of seconds before it is actually drawn the first time. The speed scale has a default value of 1 and is used to adjust the speed of a particle system. Lowering the value will make the particles slower while increasing the value will make the particles much faster. 0: 입자들을 일정한 간격으로 방출합니다(기본 값). 1: 동시에 모든 입자를 방출합니다. This setting can be used to set the particle system to render at a fixed FPS. For instance, changing the value to 2 will make the particles render at 2 frames per second. Note this does not slow down the particle system itself. This can be used to turn Fract Delta on or off. The visibility rectangle controls the visibility of the particles on screen.  If this rectangle is outside of the viewport, the engine will not render the particles on screen. The rectangle's W and H properties respectively control its Width and its Height. The X and Y properties control the position of the upper-left corner of the rectangle, relative to the particle emitter. You can have Godot generate a Visibility Rect automatically using the toolbar above the 2d view. 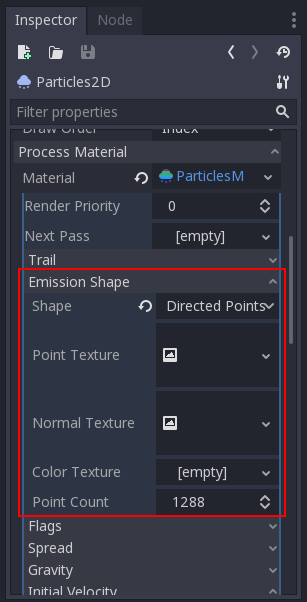 To do so, select the Particles2D node and Click Particles > Generate Visibility Rect. Godot will simulate the Particles2D node emitting particles for a few seconds and set the rectangle to fit the surface the particles take. You can control the emit duration with the Generation Time (sec) option. The maximum value is 25 seconds. 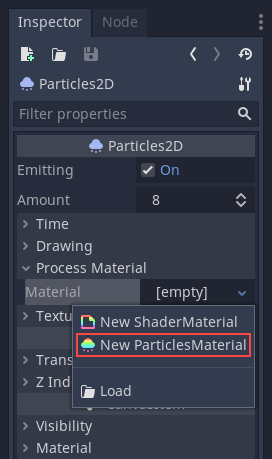 If you need more time for your particles to move around, you can temporarily change the preprocess duration on the Particles2D node. This controls the order in which individual particles are drawn. Index means particles are drawn according to their emission order (default). Lifetime means they are drawn in order of remaining lifetime. This parameter is the angle in degrees which will be randomly added in either direction to the base Direction. A spread of 180 will emit in all directions (+/- 180). The gravity applied to every particle. 선형 속도(Linear velocity)는 입자가 방출 되는 속도입니다(초당 픽셀). 속도는 나중에 중력이나 다른 가속도에 의해 수정될 수 있습니다(아래에 더 자세히 설명됨). Angular velocity is the initial angular velocity applied to particles. Spin velocity is the speed at which particles turn around their center (in degrees/sec). 공전 속도는 입자들이 중심을 돌게 만드는 데 사용됩니다. 각 입자에 적용되는 선형 가속도. If this acceleration is positive, particles are accelerated away from the center. If negative, they are absorbed towards it. This acceleration will use the tangent vector to the center. Combining with radial acceleration can do nice effects. Damping은 입자에 마찰을 일으켜 멈추게 합니다. 특히 불꽃이나 폭발에 유용하며 보통 높은 선형 속도로 시작하다가 점차 사라지면서 멈춘다. 입자의 초기 각도를 결정합니다. 이 매개 변수는 랜덤화하는데 대부분 유용하게 쓰입니다. Determines the initial scale of the particles. 방출되는 입자 색깔을 바꾸는 데 사용됩니다. The Variation value sets the initial hue variation applied to each particle. The Variation Random value controls the hue variation randomness ratio. ParticlesMaterials allow you to set an Emission Mask, which dictates the area and direction in which particles are emitted. These can be generated from textures in your project. 몇 가지 설정이 있는 대화 상자가 나타납니다. Solid Pixels: 텍스쳐의 투명한 부분을 제외한 모든 영역에서 입자가 생겨납니다. Border Pixels: 텍스쳐의 바깥쪽 가장자리에 입자가 생겨납니다. Directed Border Pixels: Border Pixels와 유사하지만 마스크에 추가 정보를 추가하여 입자들이 경계에서 멀리 방출할 수 있는 능력을 부여한다. 이를 활용하려면 ``초기 속도``를 설정해야 합니다. ``픽셀로부터 캡쳐``는 입자가 생겨난 지점의 마스크 색깔을 물려받습니다. 이 부분의 모든 값은 "에미션 마스크 불러오기" 메뉴에 의해서 자동적으로 생성됩니다. 그래서 이 설정은 일반적으로 그대로 두어야 합니다. Point Texture 또는 ``Color Texture``에 직접 이미지를 추가해서는 안됩니다. 그 대신에 "에미션 마스크 불러오기" 메뉴를 통해서 사용되어야 합니다.